We replace bridges from both the land and the water! 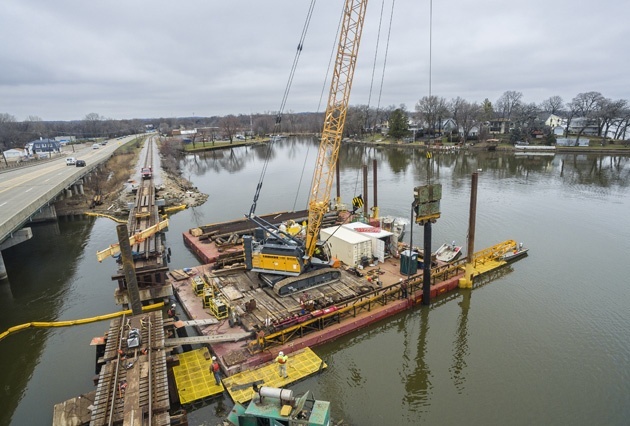 A key component to bridge span replacement projects is the ability to minimize track downtime. Brennan's team of railroad professionals will safely and efficiently replace spans with little interference to the right of way. We have the experience necessary to replace spans and install new piers and abutments while beholden to critical deadlines and truncated windows of operations. 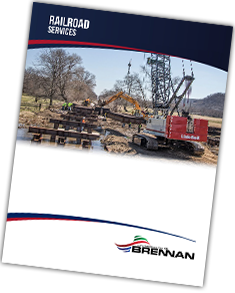 Brennan’s fleet of equipment includes hi-rail boom trucks, rotary dumps, and concrete mixers, as well as several sizes of cranes and excavators. Whether the replacement is on land, over the water, or even in a marshland, we can access the site safely in a variety of environments. Want more information on bridge replacements? Fill out the form below!